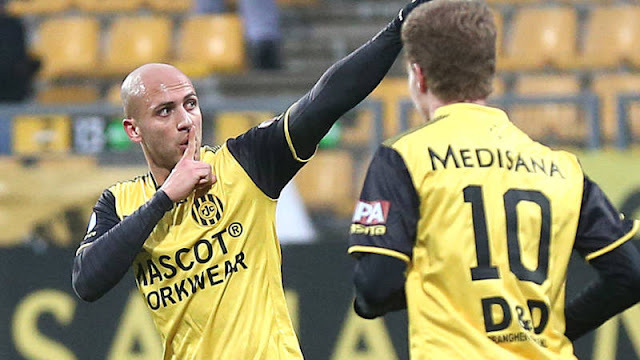 Saleh Chihadeh's star has been on the rise this year and it culminated last weekend with the goal that promoted his side, SC Kriens, to the Swiss Challenge League. That goal was one of eighteen strikes this season for the 23 year old striker who has made his mark in a less than traditional fashion. Unlike other footballing phenoms, Chihadeh's path to the national team and to top level European football has been a long and winding one. Until this season he plied his trade in Switzerland's fourth tier, mostly with his hometown side, FC Naters. A whopping return of 60 goals in 138 prompted Kriens to give him a go in the third tier of Swiss Football. His adaptation has been quick and his rise magnificent- 18 goals and 3 assist in 28 games helped Kriens win the Promotion League and ascend to the Swiss second tier. The question is, will Chihadeh be with them at the start of next season? Chihadeh's final game of the season is this Saturday against Stade Luasanne and it might be his final game of the club. 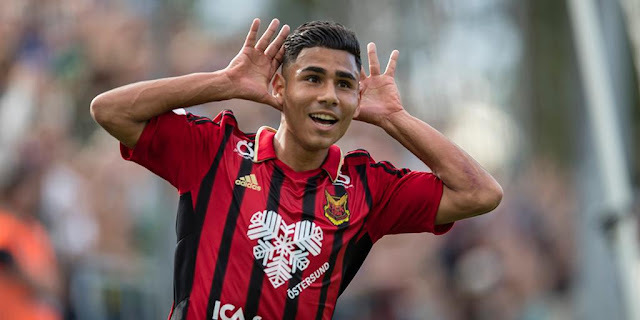 After scoring against 13/15 opposing sides in the league, and racking up the most goals from open play in the league, many scouts from the nation's top tier- the Super League now have their eyes set on Chihadeh. The two sides most heavily linked are FC Sion and FC Thun. 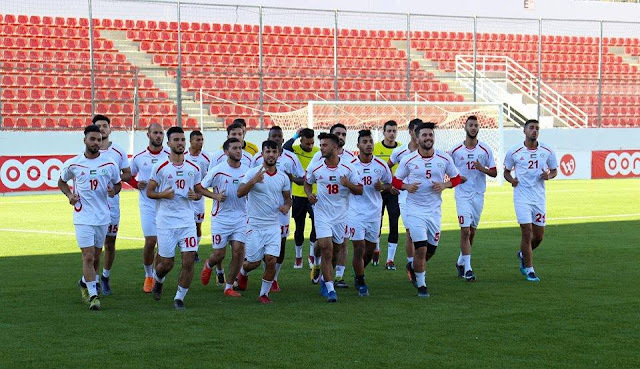 Saleh Chihadeh spent a year on the books of FC Thun and scored seven times in 25 matches for their U21 team. FC Sion might just have the inside track on the Palestinian's signature with former Naters manager, Christian Zermatten, now part of the technical staff at Sion. In an interview with Le Nouvelliste, Zermatten spoke of Chihadeh in glowing terms as a "great worker and hard trainer with a singular focus on football." Zermatten also spoke to the player's multidimensional nature stating that "he could play on the left or right, or through the middle" while also expressing confidence in the player's ability to adapt to top level football. "We want to keep him in Kriens," says sporting director Bruno Galliker, "but it is clear that he has now become attractive to many suitors in the market. I'll meet him for lunch next week. Then we'll know more."